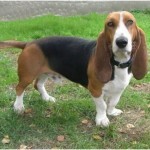 The Basset Artesian Normand is originated in France and is said to be one of the six breeds which is recognized as French Basset breed. 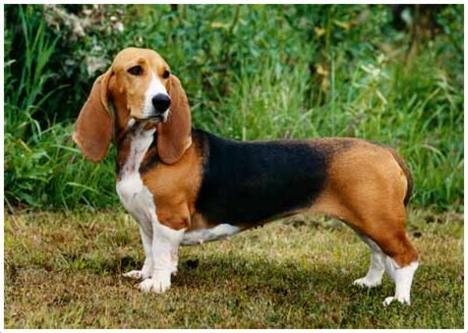 It is a small sized hound dog and the breed was called with the present name in the year 1924 after it was recognized in 1911. 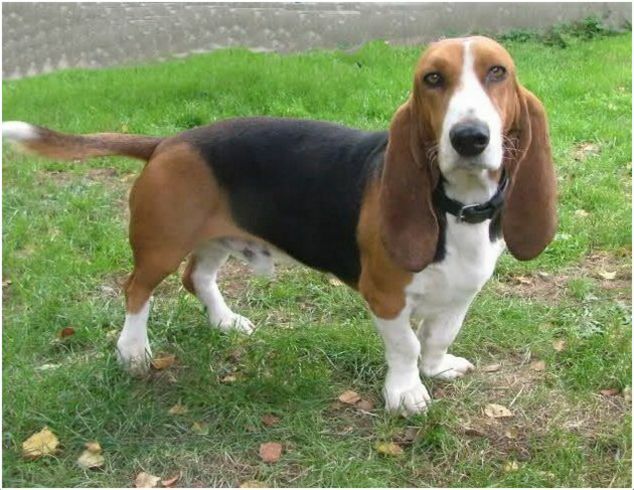 Many stories are heard up on the development of this dog breed but most of the people believe that, Basset Artesian Normand is breed from French hounds. It is nicknamed as BAN. BAN is good with cats and is friendly. It moves friendly with other dogs. A little household training is needed for the dog and in some cases crate training is recommended. It has excellent smelling skills and is easily attracted towards scents. The price of the Basset Artesian Normand ranges from $300 to $400. The temperament of the dog can be defined as eager, enthusiastic and highly intelligent. It is considered as the companion dog as well as the hunting dog. It is not a good swimmer so supervision is required whenever it is near swimming pool or river. 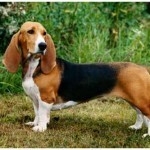 The Basset Artesian Normand is a small-sized and is of less weight. The height is almost half of its body length with large eyes. 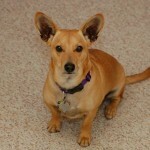 The oval shaped chest and long ears are main attractions of the dog. 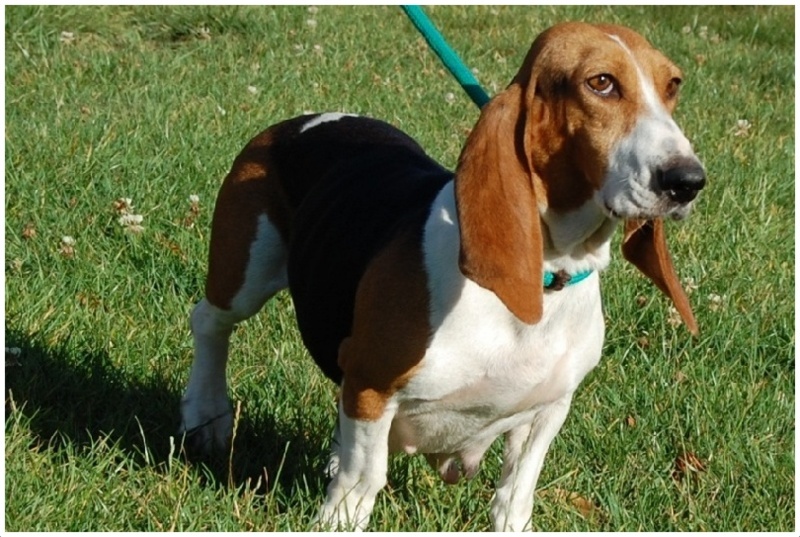 The tail of the dog is long and curve-shaped but not as long as other hound dogs. The coat is short and comes in bicolor (white and fawn/orange) and tricolor (white, tan and fawn/orange). 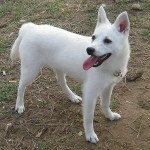 Generally, the dog is seen in fawn, white and black colors. 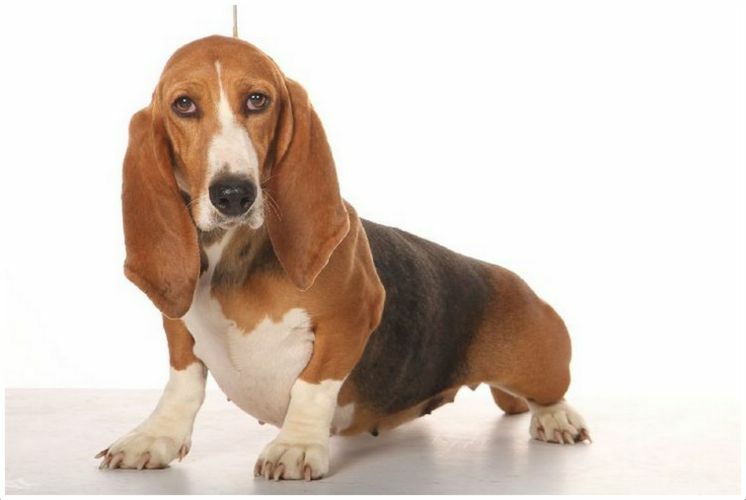 The height of the Basset Artesian Normand varies from 12 inches (30 cm) to 14 inches (36 cm) while it weighs about 33 lb (15 kg) to 44 lb (20 kg). 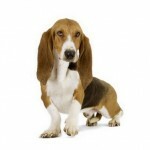 The Basset Artesian Terrier is said to be intelligent and obedient. 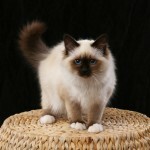 Mostly they try to please the owners with its attitude and it is very friendly towards the kids. They are brave, courageous and referred as the good companion and as hunter dog. Due to their strong smelling capacity, they follow the smells, so supervision is required sometimes. Due to its small sized legs, high jumping is not preferable and sometimes it barks heavily. Generally the dog is healthy but few times it is prone to disk disease due to its long back. Many of the common health issues like Gastric dilation value (GDV), Von Willebrand’s disease, Glaucoma, Thrombopathia, Patellar luxation etc., may affect the dog. So, vet’s advice is recommended in case of unusual symptoms and emergencies. 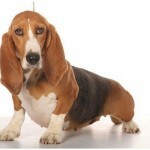 A healthy and quality diet will maintain the good health condition of the Basset Artesian Normand. It is advisable to maintain the proper diet schedule for the dog and don’t feed it heavily as it may lead to obesity. The dog is suitable for apartment living and they are active indoors. A house with small yard is preferable instead of long yard as may go out of the owner’s eye-sight due to its smelling capability. It prefers long walks along with the owners. It is very active and intelligent dog and most of the times it entertains the family members with its funny attitude. It does bark heavily sometimes whenever it is left alone in the home. A regular exercise (not too much) and daily walk is preferable for the dog to maintain good lifestyle. 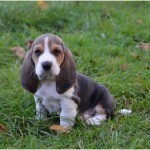 The Basset Artesian Normand can have average of 2 to 8 puppies. In case of emergency during the devilry time, vet’s attention is required in order to avoid any danger. Generally, it becomes social towards small animals but sometimes it barks heavily due to which it can grab the attention of other big animals and may pose danger. Also, it is attracted towards scents and follows it and doesn’t care for danger, so supervision is must on the dog whenever it is on walk or released freely. 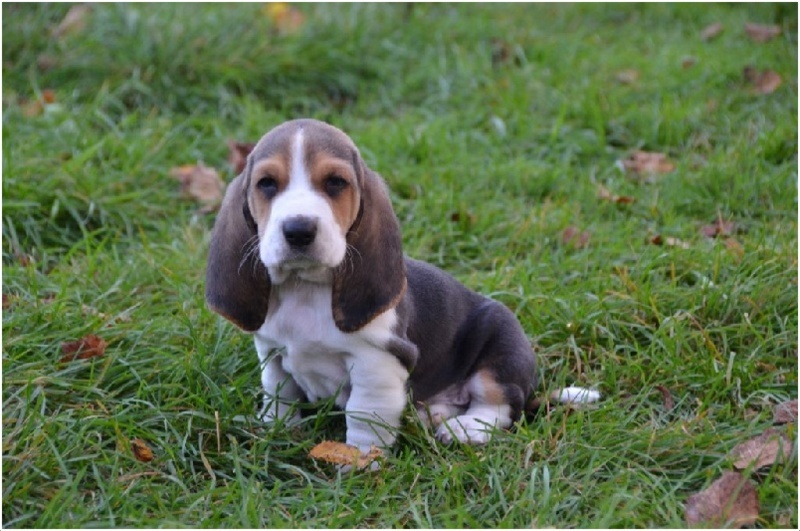 Professional breeding is recommended for the Basset Artesian Normand and a proper care and health diet should be maintained after the breeding. 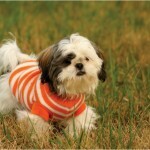 It can give birth to healthy puppies if the breeding is done at the proper age. The average lifespan of the dog is about 13 to 15 years. If a proper care and regular exercise is maintained, then they can live longer than expected. 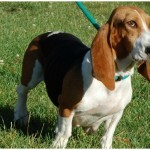 Weekly brush is recommended for the Basset Artesian Normand as the coat is smooth and short. Clean the ears regularly as it may get ear infections. Shampoo and bath it only when necessary. 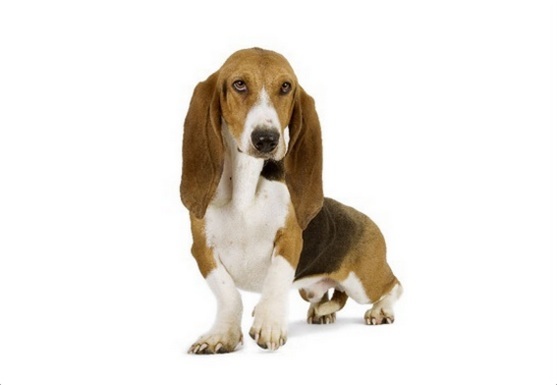 The Basset Artesian Normand is not a heavy shedder and a regular weekly grooming is sufficient in order to keep it clean and fresh.